All experience has a sound, whether expressed aloud or not. The mastery of that sound within ourselves enables us to shape our reality and our life. Rooted in the science of sound from ancient India, Naad Yoga is a healing journey of relief, growth, and awareness, expressed through musical moods based on the universal language of emotions. Within the yoga family, Naad Yoga is the most direct path to ultimate mastery and self-realization. As a vocal and string instrumental practice, Naad Yoga is rooted in the science of sound from ancient India from 5000 years ago. Naad empowers you to leanse and elevate the mind and reestablish serenity in your life. 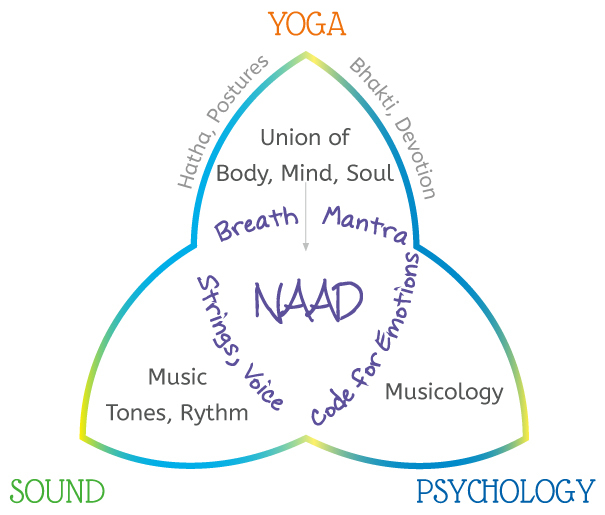 The yogic “union” through Naad is a healing journey of relief, growth and awareness based on the universal language of emotions expressed through musical moods that resonate within the human psyche. Naad is based on an ancestral and universal alphabet of emotions with 22 letters, called “shruti ”(*). 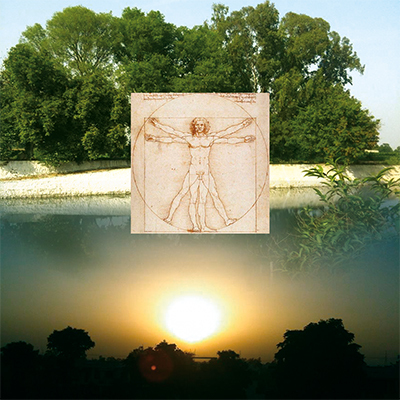 shape the human mood, clear your mind, meditation. Behind the technique is a beautiful experience of relief, life and fulfillment. 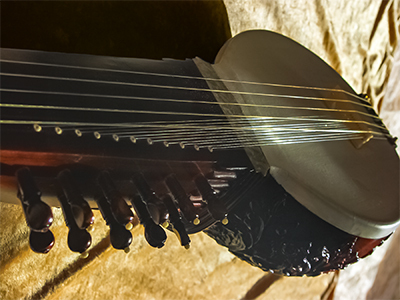 Projected onto the musical scale, the emotional signatures , also called “raag”. In resonance with your personal canvas of experiences you can compose and , letting love and anger, coolness and passion, longing and morning find their place with beauty and grace. The emotion of tone is reflected in the tuning of “sympathetic strings“ on instruments, intended for the purpose of meditation. Behind the technique is a beautiful experience of relief, life and fulfillment. Neuroscience confirms that emotional processing and thinking are structurally linked. Therefore Naad Yoga creates the conditions for your awareness to rise, in addition to clearing your mind and reestablishing peace and health. In Naad Yoga, awareness flows through the senses. Hearing comes first, as with the embryo. Playing also activates touch and visualization. Ultimately, all senses are involved, at a deep level of listening and meditation, opening a path to wisdom, self-control and yogic mastery.